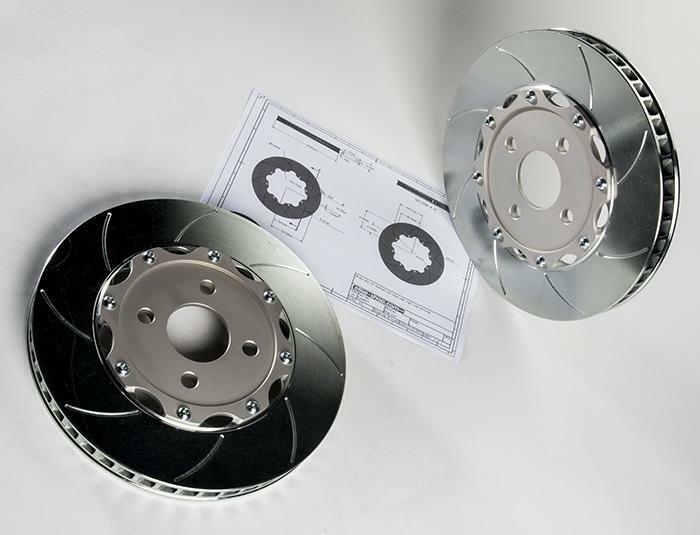 We have chosen to design our own disc rotors rather than using an existing casting which needs to be re-machined to make it work for Elise & Exige S1 applications. 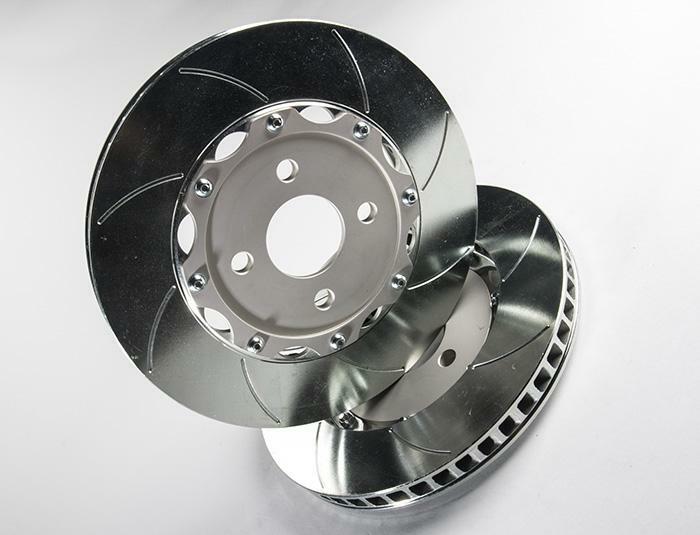 Doing our own design meant we could further optimize weight and we were able to implement the optimal internal vane design for this application. 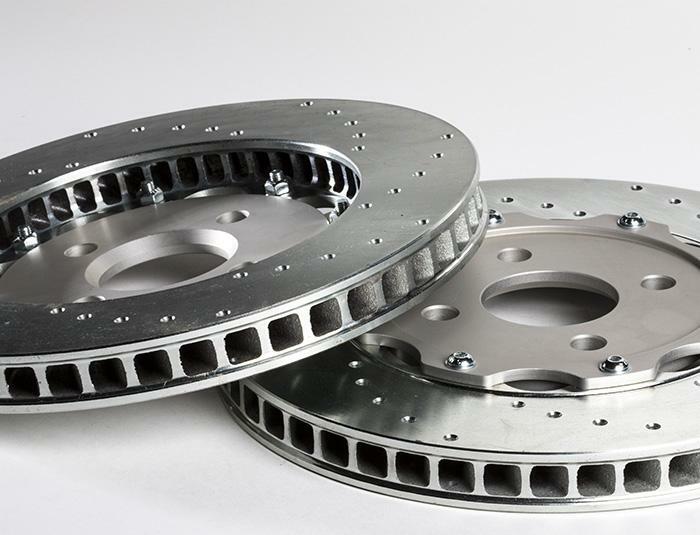 These discs weigh 4.75kg each which means a reduction of nearly 13% of unsprung weight! We have chosen to have the aircraft grade aluminium bells anodised in silver to create a more OE-like look. Apart from that, silver absorbs less heat.. every little bit helps! 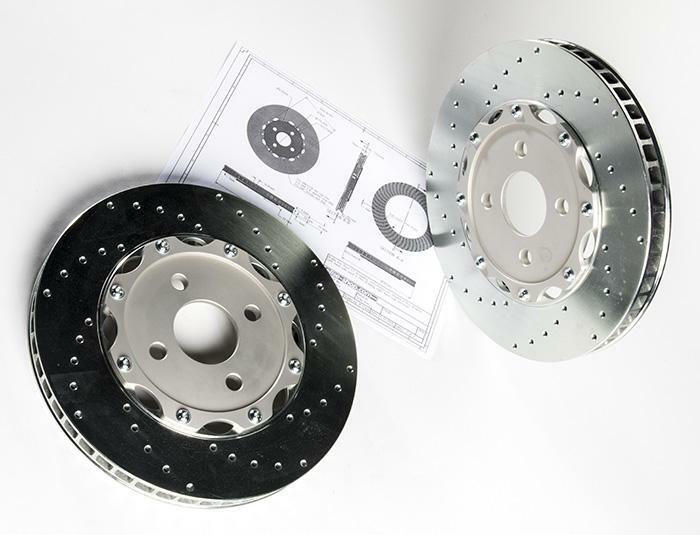 Dimensions of the friction surface, diameter, thickness and offset of the discs are equal to the original brake disc design on an Elise or Exige S1. 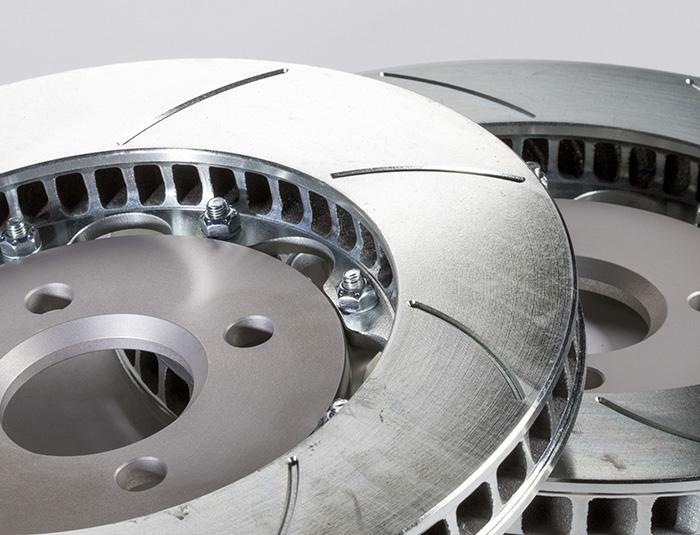 There's no need to make any modification to use these discs. 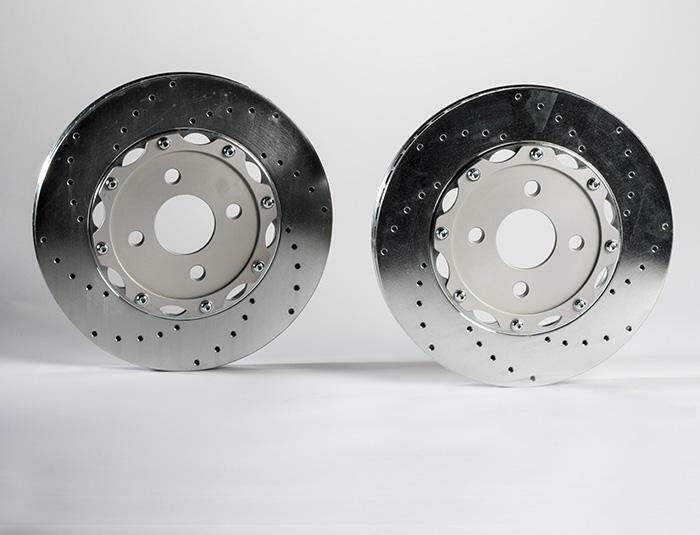 For the S1, you can choose either the 111s style cross drilled brake rotors or a grooved discs.